So many of us crave inner peace, but few of us know how to get there. 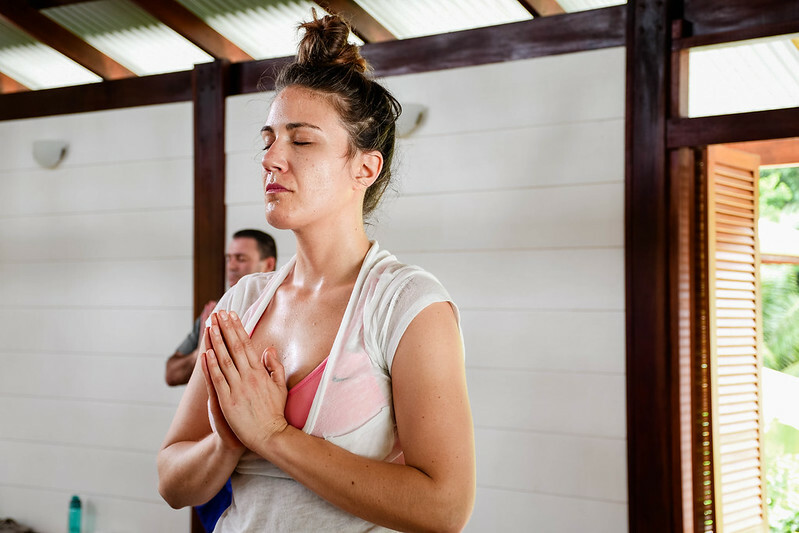 Every year at Blue Osa, we receive hundreds of seekers looking for guidance on how to find inner peace. One of my most favorite practices to offer these sincere seekers is called, “The Cave Of The Heart” meditation. “The Cave of Heart” meditation practice comes from Sutra 1:36 from the yoga sutras. Patanjali, the author of the yoga sutras, is probably best known for creating the eight limbs of yoga known as ‘ashtanga’, ‘ashta’ meaning eight and ‘anga’ meaning limbs. These limbs are a pathway to living a yogic life and Patanjali wrote a collection of sutras to provide a road map to achieving inner peace. The yoga sutra is firmly established and rooted in the central idea that you have the extraordinary power to unlock a great potential with you. But first you need to purify yourself by getting still and quiet. If you continue to fill your life with chaos you will never gain a deeper understanding of the teachings. Through your practice you will strengthen your shakti, creating an inner indomitable willpower and understanding more than what you currently know. Willpower is important as it keeps us coming back to our practice, even in times of struggle. Proper preparation is critical, you need to do pre-practice to prepare yourself for deeper practices. For example, basic practices such as candle gazing and nadi shodhana are great pre-practices that should be practiced daily. The sixth limb of ashtanga is ‘dharana’ which is concentration, where we send our focus. Sutra 1.36 says “Vi shoka va jyotismati” which tells us to concentrate on the luminous state in the heart which is beyond all sorrow. There is a space within your heart where everything meets – your mind, your senses, your soul. The heart is like a bowl of deep vastness, you need to give yourself to your heart, this is where you belong, it is your home. When you feel lost come back to this sanctuary, come back to your heart. To practice this, bring your attention to your heart centre and imagine a bright glowing light within your heart space. This is the supreme light within you. This divine light is so bright that it is free of all pain, it is beyond any fear, worry or anxiety. Whenever you feel incomplete, disconnected or not whole, come back to this place of shining luminosity and feel the warmth wash over you. Practice meditating on your heart, concentrating on your personal treasure as where you find your treasure therein lies your heart. The kingdom of heaven lies within our heart, a place so full of light that it dispels all the darkness in our lives. “The one who transcends all forms of sorrow or who, in other words, is an embodiment of everlasting joy, resides in the cave of one’s own heart. It is the Divine within us. Its luster is said to be brighter than the sun, moon, and all other celestial bodies. The experience of this inner light at the heart center is common to all spiritual traditions. Jews call it the Star of David and Christian mystics call it the Sacred Heart. The Buddhists call it Amitabha and the Hindus, Narayana, but in both traditions the Divinity is described as pure light residing at the lotus of the heart. There are two very distinct kinds of yoga, Vi yoga and Sam yoga. The focus of Vi yoga is separation, separating ourselves from everything else. It is in this place of separation that we find our wholeness as an individual and see ourselves as we truly are. Practice withdrawing into yourself, observe your thoughts, be still, notice what arises. Practice self awareness and you will see yourself as you truly are. Sam yoga on the other hand is yoga of union, uniting with the universe and the divine. Sam yoga focuses on being connected and part of a whole. When we think thoughts like ‘I am happy’ or ‘I am sad’ there is ego attached. This can be positive or negative, for example, it can create a euphoric feeling when we repeat ‘I feel bliss’, but this is not sustainable and can create an addictive cycle of chasing this state of elation. If we constantly identify with a state of happiness and bliss we are ignoring the realities of our whole self, we need a balance. 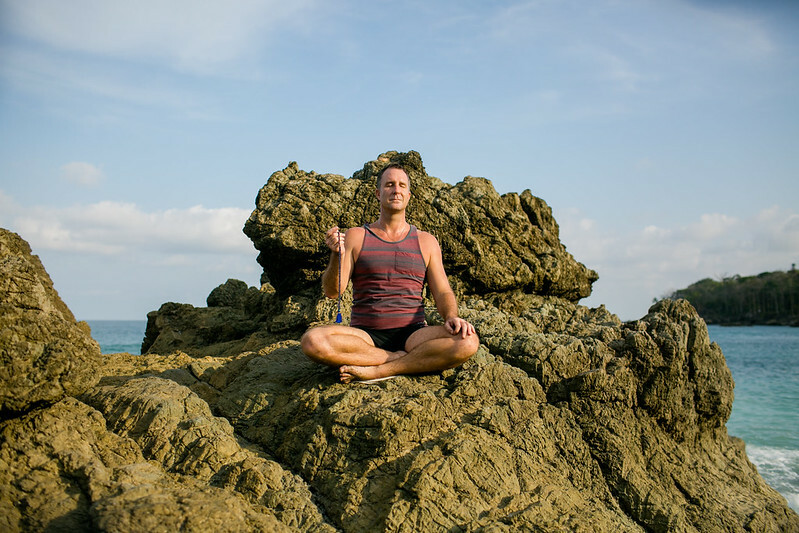 By clearing away what is between you and your happiness through the work of Vi yoga you no longer need to practice Sam yoga to feel the state of bliss. Vi yoga requires you to identify what is causing your unhappiness, and only then can you remove it. If you don’t do the work to go deep within and discover what is the root cause of your problems you cannot possibly deal with them. Sutra 1.36 is an extremely useful tool for dealing with your vrittis, or fluctuations of the mind. By meditating on the heart we turn inwards, accept the feelings that arise, and come back to our heart. When we are in a deep state of concentration focusing on the bright light of our heart we connect with our inner self, as we do when we practice Vi yoga. Sutra 1.36 and Vi yoga help us to overcome our obstacles, and the practice will change each time as you progress and go even deeper inwards. This is a practice that is ongoing and needs to be done consistently, it is a practice for life that will change your life. 1. Please come and settle into a steady, comfortable sitting posture. Be aware of your body and align your head, neck and trunk. 2. Breathe gently, quietly and smoothly without any pauses or jerks. 3. Establish a meditative state of mind by watching the breath in the nostrils. 4. From the eyebrow center, inhale your awareness to a place just above the eyebrow center – the Guru Chakra – and offer homage and gratitude to the Divine Light, the Inner Guiding Force that resides there. Rest your awareness here, and offer homage to the lineage of teachers and the tradition which guides your practice and from whom this meditation has come. Be mindful that this flame represents your teachers and all of their teachers. 5. Now let the light at the Guru Chakra guide you towards your heart center. See the opening of the cave of the heart and follow the light through a passage into a garden. 6. 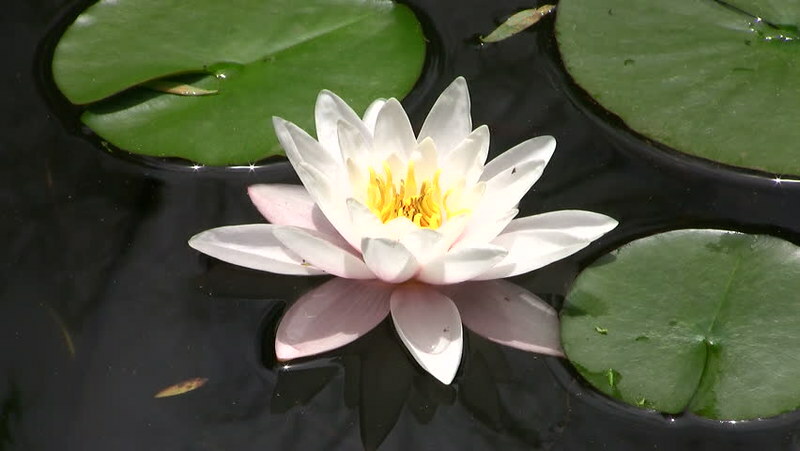 In the center of the garden is a lovely pond, and in the pond blooms a beautiful white 8- petalled lotus. On each of the eight petals, there is a flame which is the essence of eight aspects of our existence. 7. Imagine yourself sitting in meditation on the edge of the pond and direct your attention to each flame in turn, in a clockwise direction. You can spend as long as you like focusing on each flame. Once you have paid homage to each flame, move on to the next flame. In each of the flames offer homage in the form of a prayer. For each flame, I have given a prayer that you may use. You may also make up your own prayer. Oh lord of Life, I pray to this flame before me. This flame represents the earth element. All that is solid and substantive in the world both inside of me and outside of me. May the solid Earth matter inside of me and outside of me be healed and nurtured by your presence. Move clockwise to the next petal. This one symbolizes the water element. Oh lord of Life, I pray to this flame before me. This flame is the manifestation of the water element that exists both inside of me and outside of me. May the water element be healed, guided and nurtured by the divine powers that flow from you. May I experience the oneness of the divine within this flame of the fire element. May the fire element, which is responsible for transformation, digestion, assimilation, metabolism, help me to understand and become more knowledgeable. May the fire within me and outside me be healed and nurtured by your presence. This flame is the manifestation of air, which animates all of life. May I experience your oneness with this flame. May the air inside and outside of me be healed and transformed by your presence. I pray to this flame that represents space and propels speech, my ability to heal, and the level of enthusiasm I experience in life. May all the space with inside and outside of me be healed by your loving presence. This flame represents individuality which is a manifestation of the Lord of Life and divine being. May I experience your oneness with my individual being or essence. May the wall of dualities that separate me from the infinite dissolve. May this flame of the “I” amness be nurtured and illuminated by your healing power. This flame represents the feminine lunar force within us: the tenderness and fairness with loving, nurturing and embracing parts of the divine. May this kind and loving lunar energy be guided by the intelligence of this light. The Sun or Solar Energy signifies the masculine force of strength, power, determination and indomitable will to do and be within me. May this flame of yours within me and outside of me be guided by your intelligence and healing force. Now that you have completed paying homage to each flame, bring your awareness to the central flame and let all the flames merge into this flame. Offer this prayer to the central flame. Continue to sit in meditation as long as you like feeling completely enveloped in this central flame. If you have a mantra practice, this moment would be the time to begin it. ** This quote is borrowed from Yoga International’s article on Sutra 1:36 and 1:37.